This is a Quick Story. 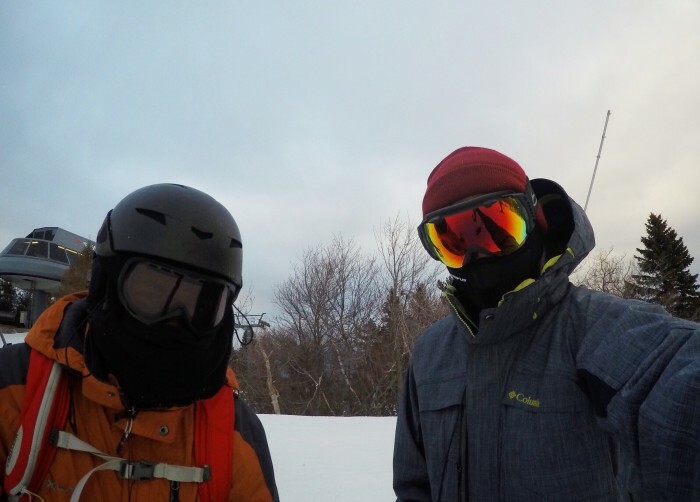 Yesterday, my friend, Will, and I drove almost two hours north to Camelback Mountain to snowboard. We had grand plans. I was going to break in my brand new snowboard. We were going to test the GoPro gifted to me the day before by some amazing friends. We were going to squeeze every drop from what's left of winter. And then Fate tried to wreck our plans. We were already running much later than we would have liked--a St. Patty's Day parade in the city held us up for at least thirty minutes. By the time we arrived to Camelback, it was almost 5:30. Okay--we can rally. We could still put in a good four hours of boarding despite the late start. Fate dealt us one more blow. After the lady at the ticket counter handed me my lift ticket, she said, "Oh, by the way--you know we close at 7:00, right?" Cue the clip of a nuclear detonation and the ensuing mushroom cloud. He didn't flip out. He didn't complain. While I'm sure some people would have given the ticket ladies grief, he made them laugh instead. On our way out of the door, we both looked at each other, laughed, and he said, "We gotta make the most of it then!" And we did. It was brief, but we had a blast in the time we were given. We were able to stop and sit down for dinner which we wouldn't have done if the mountain had been open later. No time or space for negativity. Plans get wrecked so often. Life throws some crazy haymakers out of nowhere. We get knocked down, but we don't have to stay there. I'm thankful for friends who can roll with the punches and rally. Life is better with friends like that.